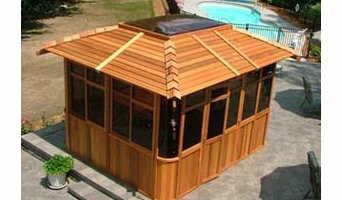 Cedarview Manufacturing Inc. is a manufacturer of quality cedar outdoor structures, specializing in handcrafted Spa Enclosures, Hot Tub Gazebos, Greenhouses, Pergolas, Pool side Shelters and Garden Gazebos. Universal Spas has an extensive line of quality products and accessories, you can choose from to build your ultimate outdoor environment. 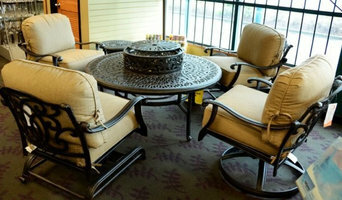 We sell name brand spas, outdoor kitchens, patio furniture, gazebos and much more. Check out our website but visit our showroom to see all of our products and accessories. 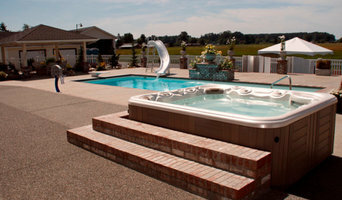 Universal Spas also offers pool & spa servicing by qualified and experienced technicians. 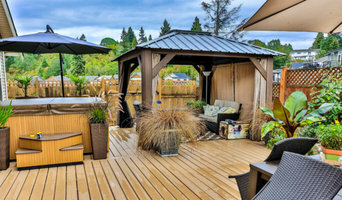 We are a one stop destination for your the backyard oasis of your dreams. We don't just sell hot tubs. We sell a promise. To deliver the absolute best lifestyle experience right at home. To keep families connected. Transform bodies and minds. And to keep our customers protected. It's how we've become the most beloved hot tub company in the world. An unrivalled 95.50% owner referral rating. A 94.48% 4 or 5 star experience rating. And that's just the beginning. We are an official dealer for Michael Phelps swim spas, as well as Master Spas Hot Tubs. We are also an official dealer of H20 Tubs. Come down and check out our current inventory of Hot Tubs! H20, Master Spa's & Maax Spa's authorized service technician available. We service the entire Fraser Valley and beyond for all of your Pool and Spa needs. Sales, Service, Chemicals, Pumps and Pump repairs, Pool Liner replacements, Hot Tub covers and more. When you buy a hot tub do you want to pay for the expensive showroom that you found it in? Of course not. By having a no-frills showroom and buying bulk hot tubs direct from the factory we can pass the savings on to you. When you're out shopping for a hot tub stop by our Nanaimo showroom and see the price difference for yourself. We'll beat any of our competitor's quotes on comparable spas. Don't get soaked by high prices, save your money! After 20 years in the hot tub industry at every level of retail, manufacturing, and wholesale, we feel we can help you make the right decision regarding your hot tub purchase whether it involves the brands we supply or another. In fact, we strongly encourage you to shop around, we know you’ll be happier when you come back to purchase your hot tub through us. We believe that savvy people will see through high-pressure sales tactics, gimmicks and tricks. Before you buy a hot tub anywhere it pays to shop and compare. 250+ brand name hot tub spas, warehouse pricing, pro service, BBB A+ since 1997. 100-point certified used hot tubs. Warranties. Removal, disposal, repair service. Calais Spas is the Island’s premier source for Hot Tubs and Spas, Billiard Tables, Swimming Pools, Saunas, Dart Boards, and home recreation accessories. Incorporated in 1986 the business was started in Maple Ridge, BC by Ben and Joanne. The Business run for many years until the need for a new location , Discovered on the westside of the district, a new location began construction with promising exposure to all those driving through maple ridge. Atop the northern most point of the Haney By-pass was a newly constructed two story building that housed the sales floor for everything Pool and spa Related. Many years of returning clients seeking parts and service you just could not find anywhere else. It was not uncommon to discover an above average turnout of water chemistry seminar's but also chat with staff on many personal interests as well. Sechelt based Bullfrog spa dealer, we also install, service and supply pools, swim spas, hot tubs and saunas and all related accessories. It’s important that you do some research before visiting a local Richmond spa and hot tub dealer. While they can give you lots of information about features and financing, you should have an idea of where you would like to position your spa and what its main function will be. Do you plan to use it mostly for relaxation or socialization? How many people will be using it? All of these things will help the hot tub dealer pick the best models for you. Decide who will be responsible for daily maintenance in your household and if the extra energy costs are something you’re actually willing to incur. Also, know that most hot tub stores in Richmond, BC let you do test soaks, also known as a “wet test”, where you can throw on your suit and take each model for a spin in the showroom so you know exactly how they feel before purchasing. Don’t be shy — just think of it as test driving a car! Find spa and hot tub dealers in Richmond, BC on Houzz. Narrow your search in the Professionals section of the website to hot tub and spa dealers in Richmond, BC. You may also look through photos to find hot tub designs you like, and ask about the details of the spa, including the manufacturer and where it was was purchased.